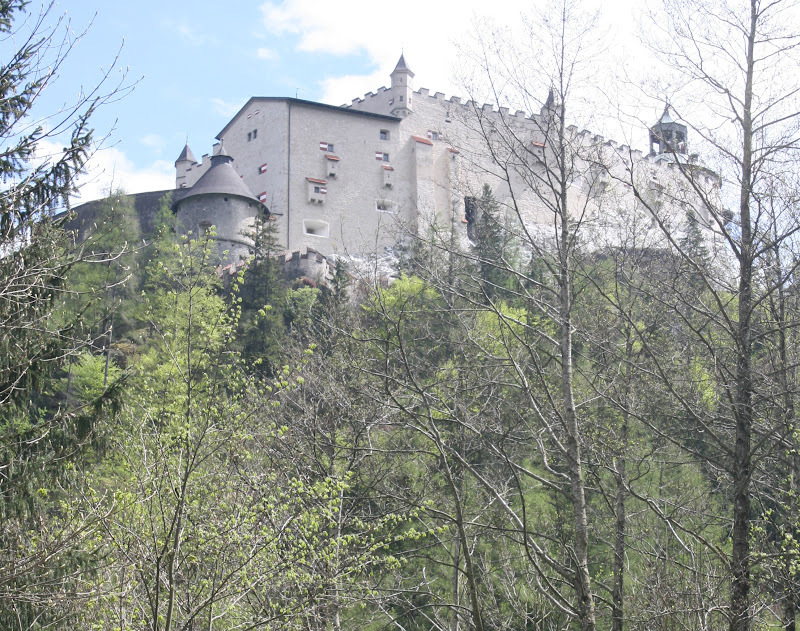 I cycled through the centre of Salzburg and and began following the Salzach river south to start the Alpe Adria cycle route, which runs over the Alps to the Adriatic coast. Most of the ride was on road, but it was pretty quiet. For a while I rode with an American father and his children. The father and daughter were riding a 100 year old tandem and the son was riding a penny farthing. 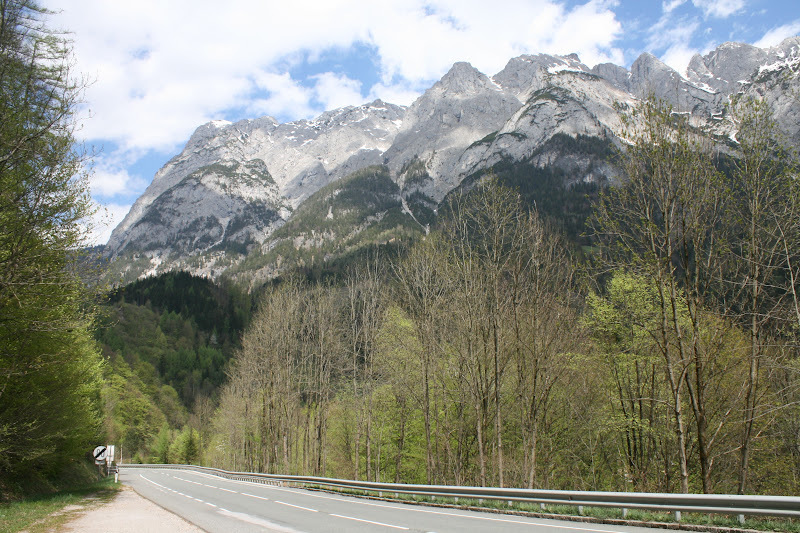 There was a lot of climbing and by the time I made it as far as St Johann im Pongau, I was exhausted. I found the Camping Kastenhof and stopped for the night. The next morning I loaded up on chocolate snacks at the local shop and continued. 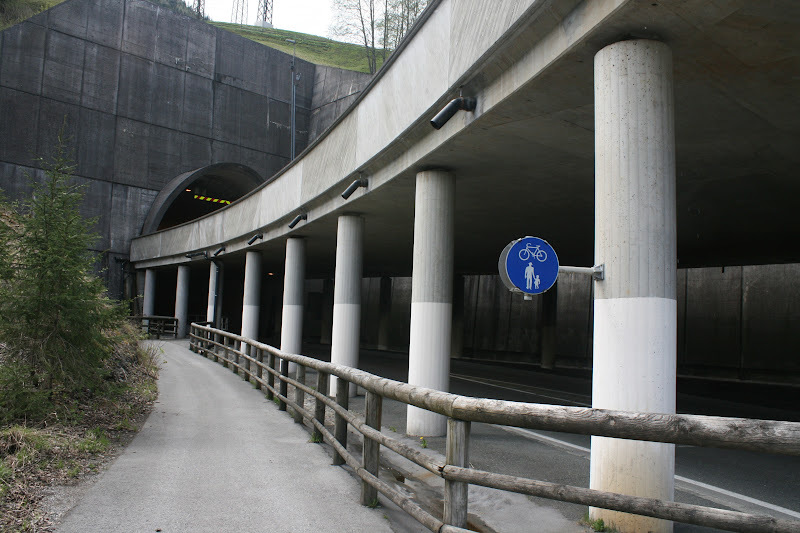 Shortly after St Veit im Pongau the cycle path began to climb steeply. I was cycling close to ski lifts. This was the hardest cycling of my trip. I made it 38km before finding another camping ground (Kur-camping Erlengrund) and calling it quits for the day. This was one of the tunnels through peaks. There was a separate path for cyclists, but the wind from passing trucks still buffeted me around. 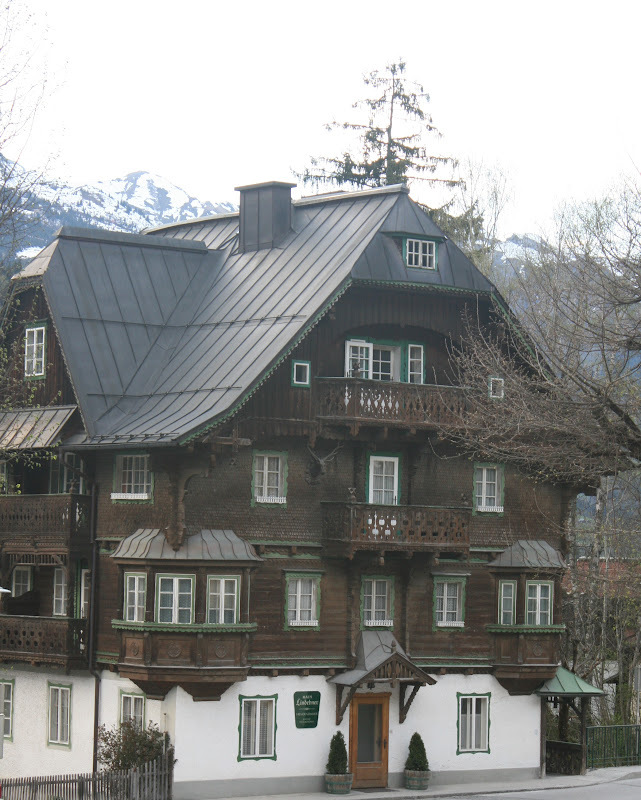 Bad Gastein was not much below the snow line. Apparently, a cyclist camped there a week before I arrived and a metre of snow fell. It was pretty cold. 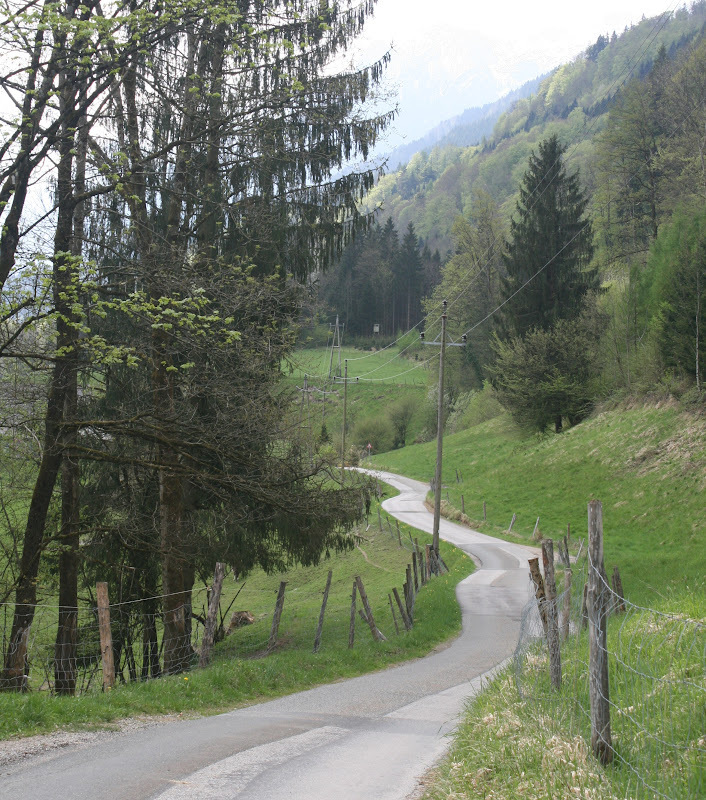 On my third morning on the Alpe Adria route, I cycled up a steep and busy road to Böckstein. It was fine as I packed up, but once I started cycling it became really cold and began to rain heavily. It can't have been far from snowing. On the other side of Böckstein, I caught the compulsory Tauernbahn train that carries cars (and bicycles) through the highest point of the Alps to Mallnitz. I was thoroughly drenched and it was perishingly cold. I found a deserted corner of the platform and changed into all my Winter clothes. Mallnitz was pretty sleepy. It's a ski town, but between seasons there wasn't a lot going on. From there, the cycle route followed a series of switchbacks to descend very steeply. It was a fabulous view out over the valley, but I had to stop twice because my rims were getting too hot from braking. I wouldn't want to ride it in the other direction. I don't think I would be able to make it. The path became traffic free - it was great. 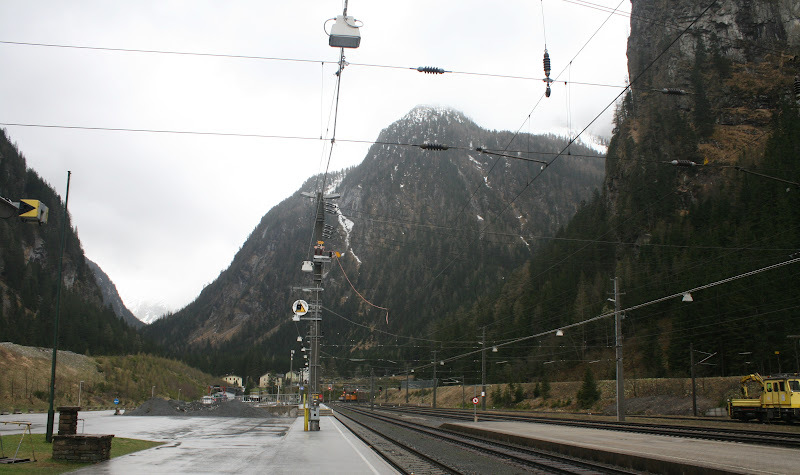 It ran through a series of alpine villages and was very pleasant. I passed through several villages where I hoped to stop for the night. 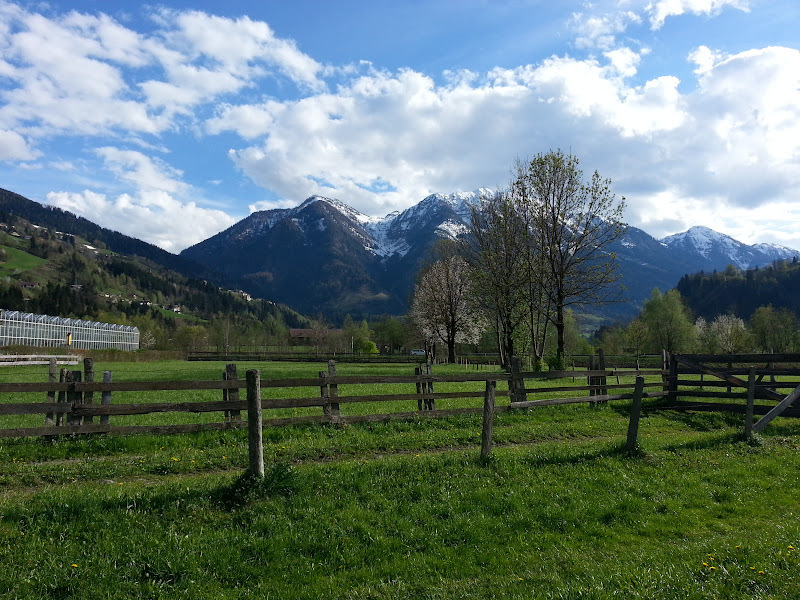 In each case, the camping ground appeared to be closed so I ended riding all the way south-east along the Drava river to Villach, arriving quite late. I was exhausted and my first impressions of Villach were that it was scruffy and run-down. This wasn't accurate: Villach is actually a really pretty town and I stopped for a rest day to replenish my supplies. Among other things, I needed fuel for my stove. A local chemist grilled me suspiciously about why I wanted to buy bottles of pure alcohol.